Old Kent Road runs from Elephant and Castle to Peckham. It’s just under three miles long, passes through Bermondsey and Walworth and leads to New Cross, Deptford and Lewisham. 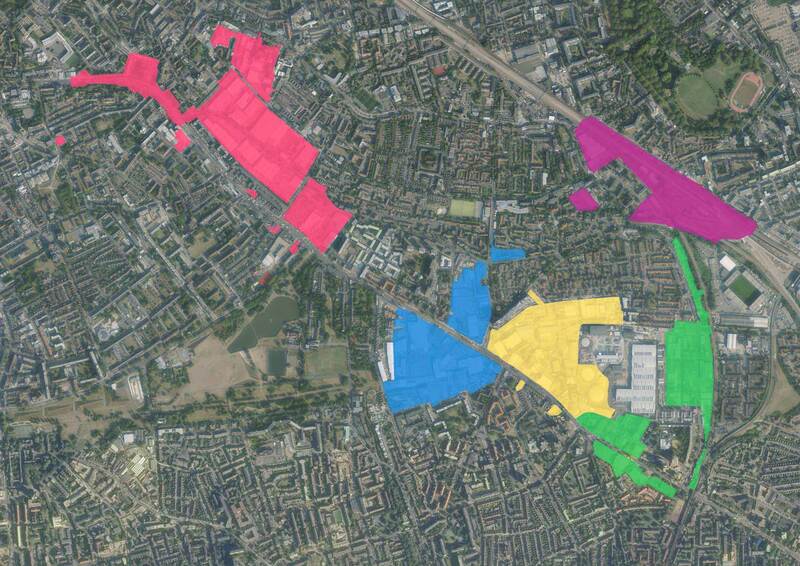 This map shows the area as set out in our Old Kent Road Area Action Plan. It includes the full length of Old Kent Road as well as a significant part of the surrounding area. In total, it covers roughly one square mile (282 hectares). Our plans for the area concentrate on five specific districts in and around Old Kent Road, each with its own distinctive character. These have been colour-coded on the map (find out more below).